The Maker Space is a place where new products are developed and then commercialised. We have the equipment, team and expertise to manufacture your idea. THE MAKER SPACE IS A CONTRACT R&D DEPARTMENT FOR HIRE. WE CAN RAPIDLY ASSEMBLE A TEAM TO DELIVER YOUR NEXT R&D PROJECT. WE WORK COLLABORATIVELY TO DELIVER THE BEST SOLUTIONS. 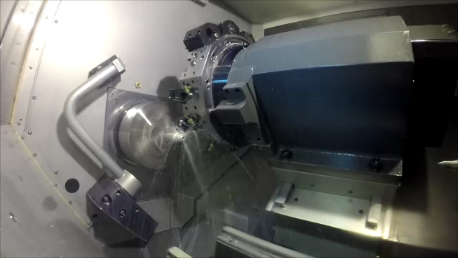 We have a wide range of equipment and offer extensive capabilities in machining and fabrication. We can manufacture one off products or small batches of products that you may struggle to get made anywhere else. Get your product customised to suit your exact specification. Simply contact us to talk about your requirements. We have 2 CNC milling machines with 4 axis capabilities. We specialise in smaller batches allowing you to test a product in the marketplace without having to invest in large scale manufacturing from the outset. We have 1 CNC lathe equipped with bar puller and parts catcher. Ideal for short runs in sizes up to Ø50mm or one offs in larger sizes. Custom Fabrication is available to complement our machining service.